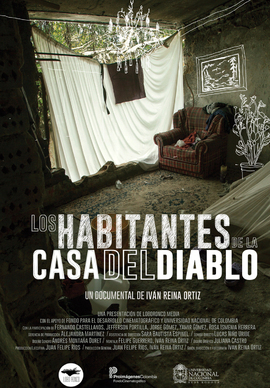 "The squatters of The Devil's House" is the polyphonic portrait of 'Fercho', 'Devil' and 'Hippie', the accidental owners of a no-man's land, perhaps, the only place in the world they can call their own. The ruins shelter their shattered days, allowing them to overcome time and become a little family. With vestiges as the core of their lives, they will find what it takes to rise again.